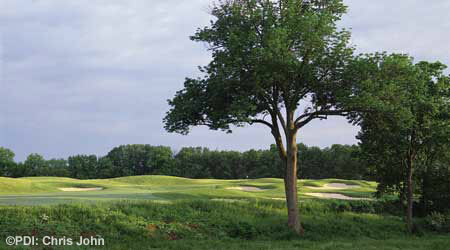 This course was designed as the first golf venture for the Hunterdon County Parks Department. Situated on the Kuster family farmstead, the course takes advantage of beautiful natural terrain, with pockets of mature woodlands, running along the Neshanic River Floodplain. The course has been profitable for the country since opening to national acclaim.